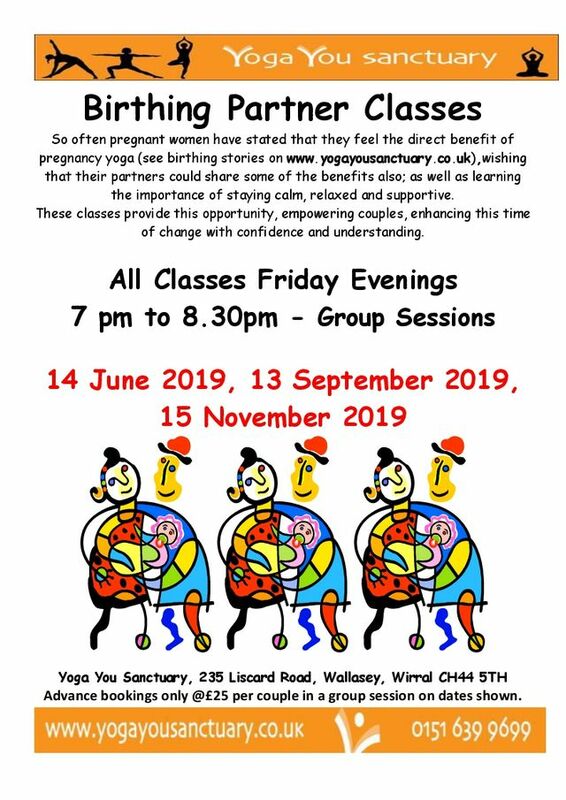 If you’d like to attend any of our Events, please CALL US FIRST to see if there are still places available, then please download and complete our booking form to confirm your place. 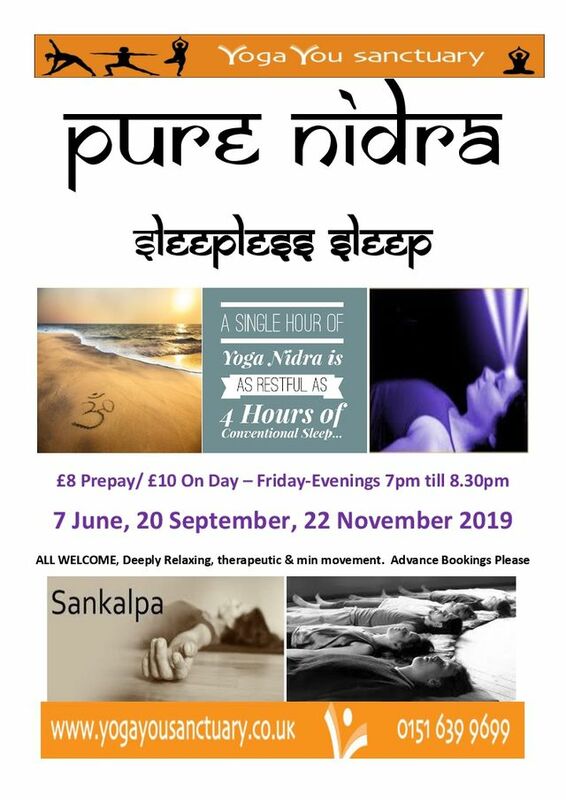 You will need to complete and sign the form, and return to Yoga You Sanctuary with your payment (Full Details are included on the form). Payment may be made by Bank Transfer- details to be found on the pricing page in this paragraph. 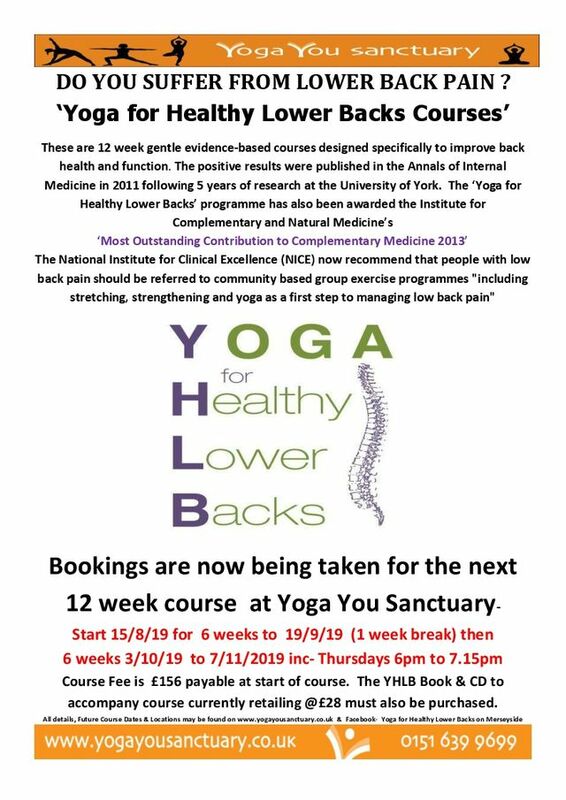 All events are subject to the Yoga You Sanctuary Cancellation Policy, which you can find explained on our Pricing & Terms & Conditions Page and on the booking form. You will be informed of this Policy upon booking your place on any of the events and if making payment by bank transfer without completing a booking form then the terms and conditions shown on the pricing and terms and conditions page are automatically invoked as all the details are integrated. 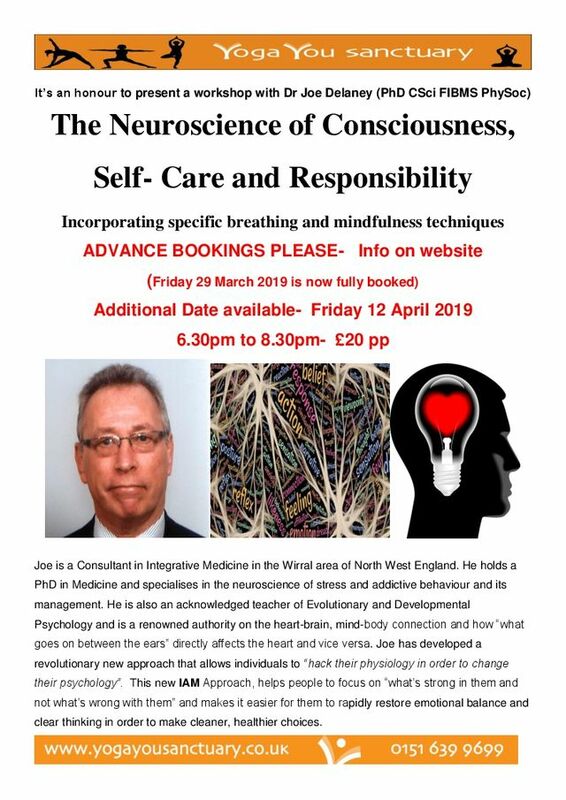 NB: Both Events with Dr Joe referred to above are Fully Booked ! !